On Cinco de Mayo my leave was about done, but before heading back to Camp Pendleton I traveled down to Nogales, Mexico, with friends, and we attended a bullfight. There was a lot of hoopla at the arena: folks all dressed up, the men in suits and the women in fancy dresses. 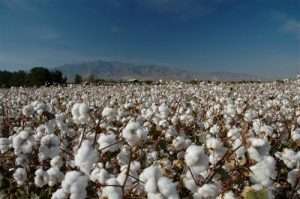 I recall the men wearing fedoras that matched the hues of their outfits, white and tan and other tints of light brown. The ladies looked to me like they should be going to Mass instead of to a bullfight. The fancy red and black advertising bills that hung all over the walls of the city announced three matadors who would kill three bulls as part of a wider celebration to observe the holiday which commemorates the Mexican Army’s defeat of a French army at the Mexican city of Puebla in 1862. The white walls of the arena reflected the bright light. It’s warm that time of year on the Arizona-Mexican border and besides the weather, the beer, Modelo, was warm and something that I’d prefer not to consume but I did. Every time I took a swallow it caught in the back of my throat and I wasn’t sure if it would go down and stay down or rocket out through my nose and my mouth all over my lap and the people sitting in front of me. The bullfights seemed steeped in a tradition I didn’t really understand; the honoring of the bulls as if they were heroes, the formal entrance into the ring by the participants that reminded me of Marine Corps ceremonies I’d been a part of. The matadors and picadors reminded me of ancient warriors, and the horses protected by what looked like quilted armor hinted at a more martial tone to the event. Bugles blew at what seemed like critical moments in the performance and I thought of bugle calls we answered to in the Corps: Taps, Reveille, Assembly. And then the torment and killing of the bulls began. The toreros—bull fighters—stabbed the bulls with sharp, short spears called banderillas and men on horses stabbed the bulls with long spears and the matador used a cape to tire out the animal and to create a kind of performance art before killing the bull with one clean thrust of a sword that punctured his tortured and weakened heart through a soft spot behind its lowered head. 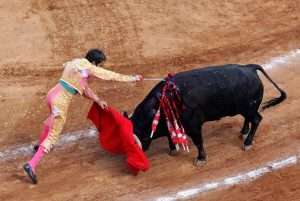 What bothered me was how the crowd loved the action and cheered at the torture the bulls were put through, the stabbing and the capes the matadors used to entice and lead the bulls around the bullring. The first two matadors failed to kill the bulls cleanly and the crowds did not like that, hissing and acting like the bull had more of their respect than the men who were supposed to kill the animals. The third matador, who was the star of the whole day’s shebang, did manage to kill the bull with some panache and I had to admire his apparent physical skills, even though the repeated stabbing of the bull on the neck and shoulders beforehand tipped the odds in the matador’s favor. Watching the bulls stagger around made me dizzy and the beer turned pretty damned bitter and the crowd’s thirst for the savagery of it all surprised me. It seemed a metaphor for what I’d seen at Khe Sanh. Brutal battles, bayonets grinding into bone, death-maimed men, and all of us, on both sides—NVA and Yanks—debauched with savagery. The bloody images of Khe Sanh, that bull fight, the cheering Mexican crowd rejoicing in the chaos, visions of dead men lying in the dust, the incompetent matadors down in the ring, the bulls staggering around the sandy arena with hearts as big as the State of Sonora were all mixed up in my mind. Ole! Dios mio! I couldn’t get out of that place fast enough, almost knocking several men down as they stood on the steps in the aisle as I charged out of the bullring. I knew enough border lingo to understand the names they called me but instead of punching someone in the nose, I had to escape the scenes of the bulls being dragged from the sandy arena floor, the bouquets of red flowers and fedoras tossed into the ring. The scarlet of the flowers highlighting the burgundy tint of the blood on the ground. 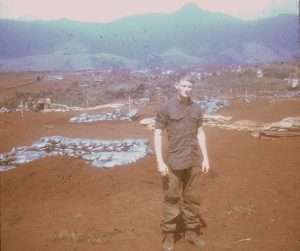 Author Ken Rodgers at Khe Sanh. Photo courtesy of Michael O’Hara. Outside, I squatted in the shade up against the walls of the arena and waited for my friends to come out. They thought it was glorious and a righteous example of culture and history and the influence of Spain’s glory days upon the world. 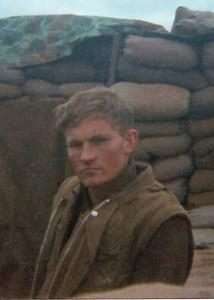 That memory is clear in my mind and I have gone back to it many times, me sitting on my haunches looking up at them as they talked excitedly about the action in the ring, their smiles, me seeing the blood red mud of Khe Sanh, dead men dragged down the dusty road. Dear friends of Bravo! – Our film has just hit Prime Video on Amazon! We couldn’t be more excited because now this profound story is available via streaming to an entirely new audience! It has been a long and wonderful journey to bring our labor of love to this point, and it’s all due to the many people who have come alongside to make it a reality. First was receiving Bravo Company Skipper Ken Pipes’ endorsement, then the encouragement from film experts Lance and Pamela Thompson. We knew we were on our way when the Marine Corps Heritage Foundation gave us a start-up grant. Next came the men who said, “Yes, I will tell my story,” and making the connection with the late Mark Spear who became our perceptive videographer. Of course Bravo! would not be the film it is today without the heart, talent, and expertise of our incredible editor, John Nutt, who provided the top-notch editing and post production. Since then, we could never begin to list the people who have become a big part of Bravo! with their encouragement, financial support, feedback, screenings, DVD purchases and a myriad of other efforts that have spread this story far and wide, ultimately helping to touch the hearts of thousands of veterans and others. Now we believe that on Amazon, our film will touch thousands of more lives. Amazon will help Bravo! reach this new audience if it gets 100 reviews before the end of April. We’d be most grateful if you and your friends would show your support of these courageous men by leaving a heartfelt review (however brief), and a rating. Could you take a few minutes to help us with this? If so, click the link below and stream the film (you can let it run in the background if you’ve already seen it, but you must stream the entire film). THANK YOU for helping us with this exciting milestone for Bravo!. As always, we really appreciate your support. Click here to go to Bravo! 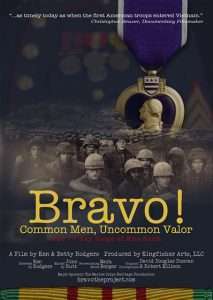 Common Men, Uncommon Valor on Amazon Prime.